When I embraced the the world of Social Media early this year, I entered a new world wherein some online friends knows me more than my real friends. I get to meet some during events, while there are still some that I am still looking forward to meet in person someday. At some point, I am envious of their flexible time schedules, no rush hours, can work with their jammies on and more. I would like to make it clear that I am writing this having a perspective of a regular employee receiving competitive salary and perks. According to Coach Genesis Reonico of Online Jobs University, almost 2 million Filipinos are working from home doing projects for various companies and individuals internationally. The figure does not include other freelancers yet such as event planners, photographers, musicians and artists. Though the advantages of being a freelancers are plenty, you need to have a strong discipline to make your dream lifestyle happens. Big projects will sure come along the way and you will be paid really well. What do I mean about this discipline? I am referring to planning about the future. As a freelancer, you have to bear in mind that you are your own employer and that you should also provide benefits and perks to yourself as your own employee. To help you with this, I came up with a list of "must haves" that every planners, bloggers, and other freelancers to consider to help you plan for the future. For as low as 110 pesos every month, a member can avail of the benefits subject to number of contributions and other documentary requirements. Sickness benefit - is a daily cash allowance paid for the number of days a member is unable to work due to sickness or injury. Disability benefit - the program adopts the disability that states as any "restriction or lack (resulting from impairment) of ability to perform an activity in the manner or within the range considered normal for a human being"
Retirement benefit - is a cash benefit either in monthly pension or lump sum paid to a member who can no longer work due to old age. Maternity benefit - is a daily cash allowance granted to female member who was unable to work due to childbirth or miscarriage. Death benefit - is a cash benefit either in monthly pension or lump sum paid to the beneficiaries of a deceased member. For a minimum monthly contribution of 200 pesos, a self-employed person regardless of trade, business or occupation, with an income of at least P1,000 a month and not over sixty (60) years old can be a member of the Fund. 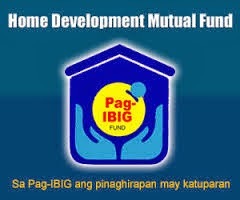 Pag-IBIG Fund guarantees the refund of of member's total accumulated savings (TAV), which consists of the member's accumulated contributions, the employer counterpart contributions, if any, and the dividend earnings credited to the member's account upon occurrence of any of the grounds for withdrawal such as : (1) membership maturity; (2) retirement; (3) permanent or total disability or insanity; (4) separation form the service due to health reason; (5) permanent departure from the country; (6) death. The National Health Insurance Program was established to provide health insurance coverage and ensure affordable, acceptable, available and accessible health care services for all citizens of the Philippines. It shall serve as the means for the healthy to help pay for the care of the sick and for those who can afford medical care to subsidize those who cannot. Those who work for him/herself and are therefore both the employer and employee are qualified under the Individually Paying Program. 1. Payment of at least three (3) monthly premiums within the immediate six (6) months prior to the month of confinement. For pregnancy-related cases, dialysis (except those undergoing emergency dialysis service during confinement), chemotherapy, radiotherapy and selected surgical procedures, payment of nine (9) monthly premium contributions within the last 12 months shall be required except for those enrolled under the KASAPI program. 2. Confinement in an accredited hospital for at least 24 hours (except when availing of outpatient care and special packages) due to an illness or injury requiring hospitalization. 3. Attending physicians must also be PhilHealth-accredited. 4. Availment is within the 45-day allowance for room and board. Feel free to share any thoughts or additional information that you would like to share with us.